Prior to joining Porchlight, Jack had almost 40 years of experience as a corporate legal advisor, with 18 of those years in the retail sector. Most recently he was General Counsel and Executive Vice President of The Home Depot, Inc., the $90 billion home improvement retailer, where he supervised all legal matters, including corporate governance, employment matters, store operations issues, vendor relationships, mergers and acquisitions, litigation and government relations. Before that, Jack was the General Counsel and Executive Vice President of Staples, Inc., the international office supplies retailer, where similarly he managed all legal matters, plus supervised Staples’ expansion into Asia and its mergers and acquisition activities. Jack started his career with the law firm of Hale and Dorr in Boston (now WilmerHale). 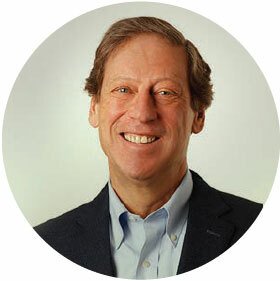 Jack is a member of the Board of Directors of WEX, Inc., a $1 billion public company providing international corporate payment solutions in the vehicle fleet, travel and corporate solutions and health and employment benefit areas. Jack lives in Weston, MA with his wife. He enjoys golf, bicycling, reading, international travel, and especially wrangling his twin four-year-old granddaughters.